Sheila Morago has been a leader in Indian gaming for more than 15 years. After starting out in one of Gila River's first casinos she began working in public policy with the National Indian Gaming Association, where she developed political advertising programmes, public information materials, press releases, congressional testimonies and more. 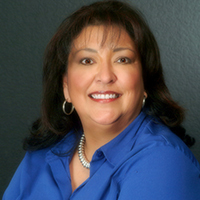 From 2004-2011 Morago served as executive director for the Arizona Indian Gaming Association. Since then she has been the Oklahoma Indian Gaming Association's first full-time executive director, where she works to promote the welfare of Oklahoma Indian tribes with regards to gaming enterprises in Indian country through education and the development of policies and practices.